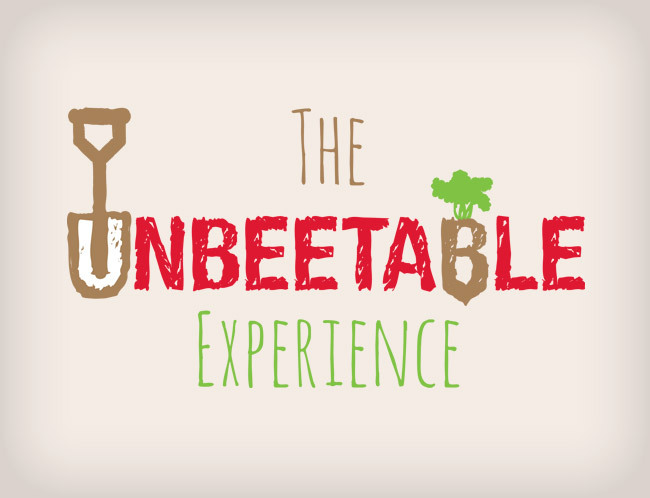 The Unbeetable Experience helps hire workers for the sugar beet harvest in Minnesota and North Dakota. We created a fun and energetic logo that echoes the experience that workers will see during harvest, which includes a lot of hard work but a lot of fun as well! We chose 2 different handwritten fonts that pair together nicely, as well as some bright and earthy colors that continue their message about fun and high energy. The B in Unbeetable is a sugar beet, and the U is a shovel, adding a lot to the visual impact of the logo.